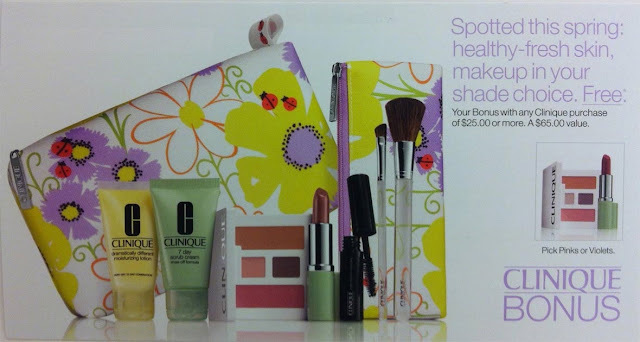 I always look forward to the Spring season because of the warmer weather, flowers blooming and Clinique's Bonus time at Macy's. It's starting again on March 25th and this time, it comes with brushes! The website, Clinique-bonus.com, always have updates on Clinique bonuses at Macy's, Nordstroms, Dillards and more retailers, throughout the year. This 9 piece set in either Pinks or Violets is yours with any $25+ Clinique purchase at Macy's.